The zero-emission IC Electric Bus chargE makes a conventional school bus seem like an ancient, smog-spewing relic. Gone is the pervasive grumbling of a large diesel engine — the chargE is nearly silent. The only sound is the rush of the wind, the whine of its batteries and the whirring “Whoo-oo-oo” of the electric motor. It’s like the bus is powered by the ghost from a children’s cartoon. 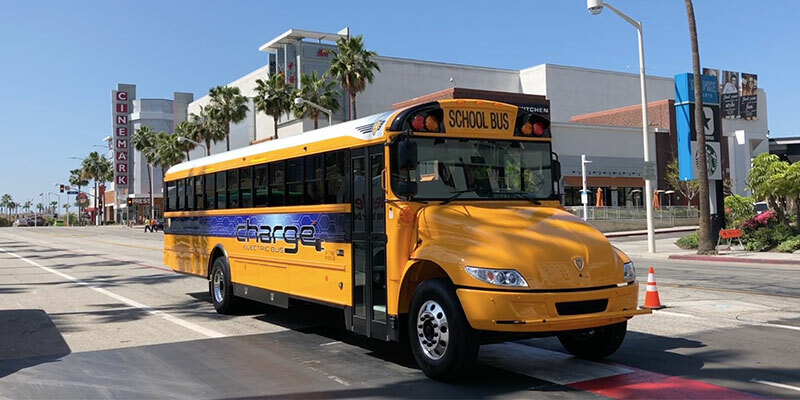 The chargE is the latest project by IC Bus, a division of Navistar International Corp., a leading school bus manufacturer. IC Bus built the chargE, classified as a Type C bus, in partnership with Volkswagen Truck & Bus. The companies plan to sell a production version of the chargE in late 2019 or early 2020. Volkswagen owns 17 percent of Navistar and is considering acquiring the rest of the Lisle, Ill., company. 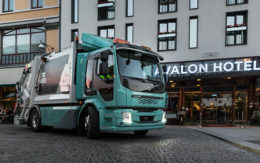 Navistar brought the chargE to the ACT Expo green transportation conference in Long Beach, Calif., this month to demonstrate its technology on public roads. On a short loop the electric bus felt right at home. Whether in tight urban intersections or a scenic coast along the shoreline, the chargE provides a smooth and quiet ride — with no smell of exhaust pooling in the back of the bus. Instant torque allows the bus to take off from stoplights in a hurry. It scoots up steep inclines with minimal effort from the powerful batteries. Passengers in the back can converse without raising their voices to a shout. Volkswagen provided the electric motors for the chargE, taking two of the motors used in its emissions-free passenger cars and fusing them into a single custom unit. There is a one-speed transmission housed within the rear axle. The result is a powertrain that produces up to 260 kilowatts, or the equivalent of 349 horsepower. Its biggest problem could be drivers overhearing back-of-the-bus conversations with perfect clarity. Typically a Type C bus this size has as many as 13 rows of seats that cart up to 78 people. For the demo, the middle rows of the chargE were removed to make space for a glass bottom to showcase the electric components working underneath the floor. Three cooling tubes glowing with purple lights run the length of the vehicle. Labels on the glass bottom show where the battery sends its power to a junction box and then a DC-to-DC converter. The motor springs to life upon acceleration, whirling the driveshaft into motion. It is mesmerizing to watch the driveline do its work as the ground rushes by at speed. But Navistar is banking less on the cool factor of electric buses and more on the potential savings. 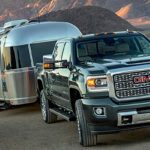 “What’s really changing is the affordability of the technology,” said Steve Gilligan, vice president of product marketing at Navistar. Since electric powertrains have fewer moving parts they require less maintenance and repair. Navistar believes less downtime will offset an additional up-front cost. The result is lower total cost of ownership over the life of the vehicle. California especially provides a helping hand to school districts interested in an electric bus fleet. Three utility companies will install electric charging infrastructure as part of a $43-million plan approved by the California Public Utilities Commission. School buses are top of mind. The adoption of electric buses will help the environment and provide school districts with a boost in public image, said Dean Oppermann, chief engineer for Navistar. Depending on the district’s needs the chargE is capable of 120 miles of range on a 10-hour charge. The average school bus route is closer to 60 miles, according to Navistar. The company plans to offer a modular range of powertrain options to fit each district’s needs and budget. Navistar will also assist with planning the most effective charging schedules and infrastructure build. “We want to work with our customers to sell them the bus that they need, not the bus that fits everyone,” Oppermann said. Navistar is looking to act quickly. The company touted its bus to dozens of school districts and government agencies on a tour from Seattle to San Diego. It concluded with a visit to the Engineering & Technology Academy at Torres High School in Los Angeles. The goal is to inspire students while simultaneously building support from districts. Other companies are chasing the same dream. Lion Electric Co. has 150 electric school buses operating in the U.S. with plans to open a new factory. Blue Bird Corp. and Thomas Built Buses have projects underway. Technology companies such as TransPower and Motiv Power Systems are converting school buses to electric drive to bring them to market. The chargE appears nearly ready for action. A digital instrument cluster gives the driver vehicle information such as fleet management diagnostics, instant fuel efficiency and maintenance advisories. Because of its size the bus has special provisions to enhance visibility. There are multiple mirrors, and three cameras mounted around the outside of the bus project live images onto the rearview mirror display. When the driver begins to roll away, the mirror returns back to a traditional view. Navistar is still learning how its technology works in the real world. The company experimented with a 360-degree surround view but found that the dimensions of the bus caused too many blind spots. When adults moved from the front corner to the side of the bus they disappeared on the screen. The idea was scrapped. As they work to iron out the kinks, manufacturers like Navistar are moving electric buses full speed ahead. Regenerative brakes bring the chargE to a silent stop at the foot of the Long Beach Convention Center. Oppermann opens the sliding door with a whoosh to pick up a new batch of journalists and industry representatives. It may not be long before students are climbing aboard.